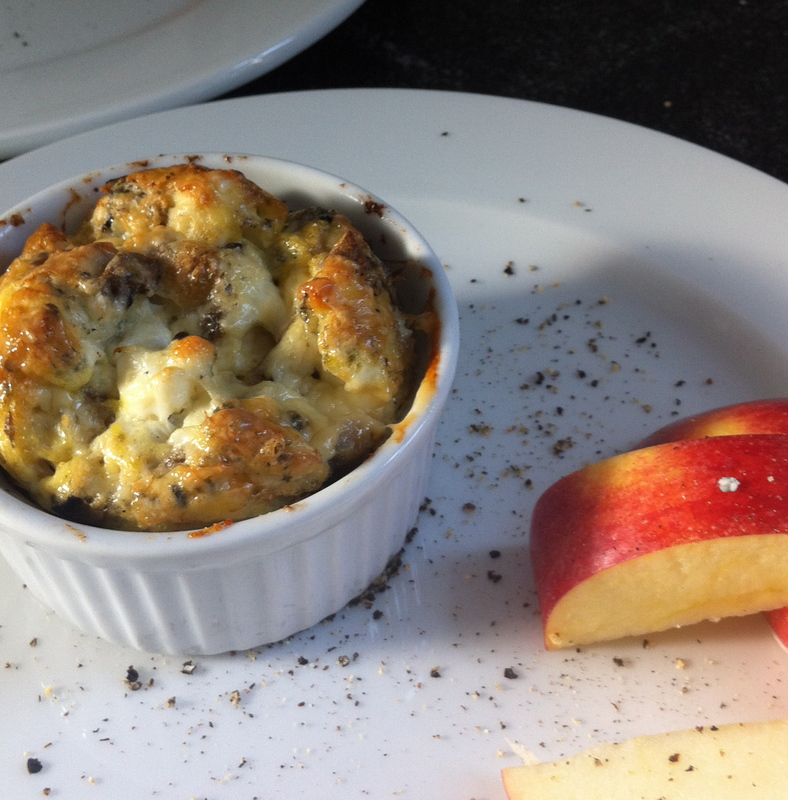 First I made baked eggs with mushrooms. 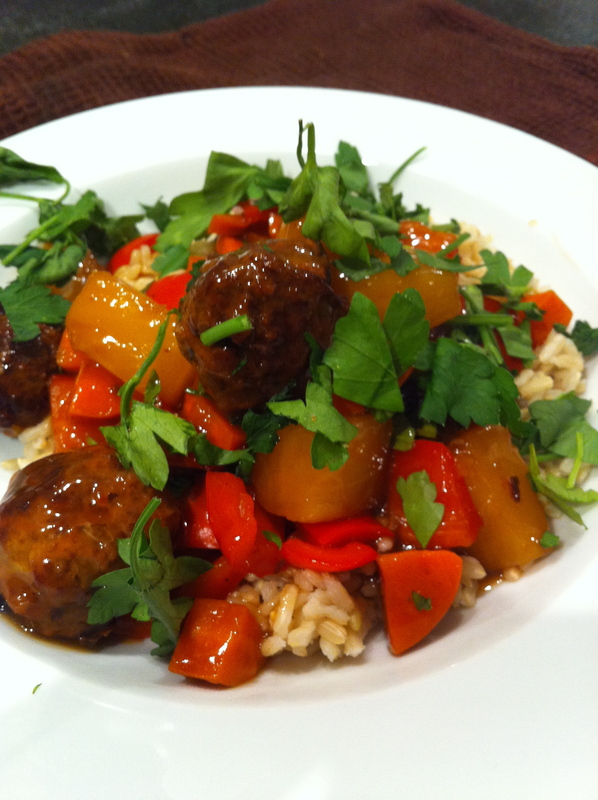 Then I attempted to create from memory a recipe from my childhood, sweet and sour meatballs. Then came the best meal. Tuna melts. Everything was in the pantry or fridge, and it took less than 15 minutes to make. The even better part? 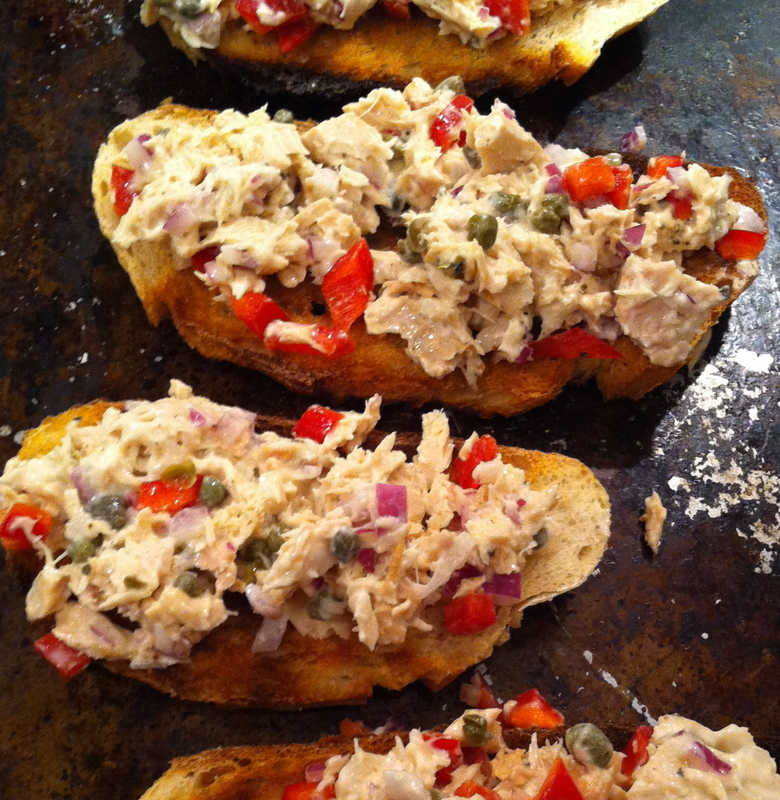 Whenever I mentioned it to someone the response was “don’t tell anyone but I love tuna melts!”. Well friends, you don’t need to keep your love a secret any longer. Here is my slightly more grown up version of that old favourite. Drain tuna, chop all vegetables. Mix together all ingredients and set aside (except bread and cheese!). Lightly toast the bread, then place on a baking sheet. 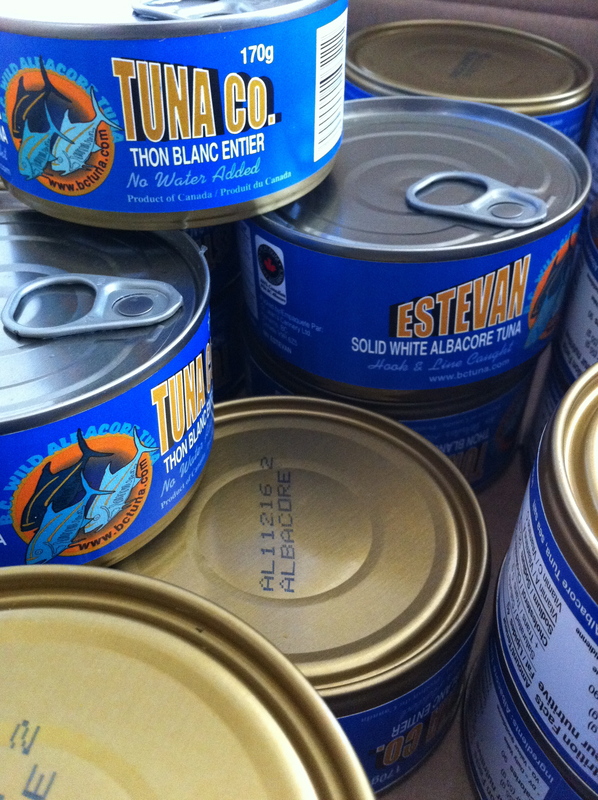 If using tomato, layer the tomato, on the bread then pile tuna mixture on top. Place in oven and bake for approximately 5 minutes. Keep an eye on them so they don’t burn. Serve with a lightly dressed salad, a glass of white wine, and enjoy. 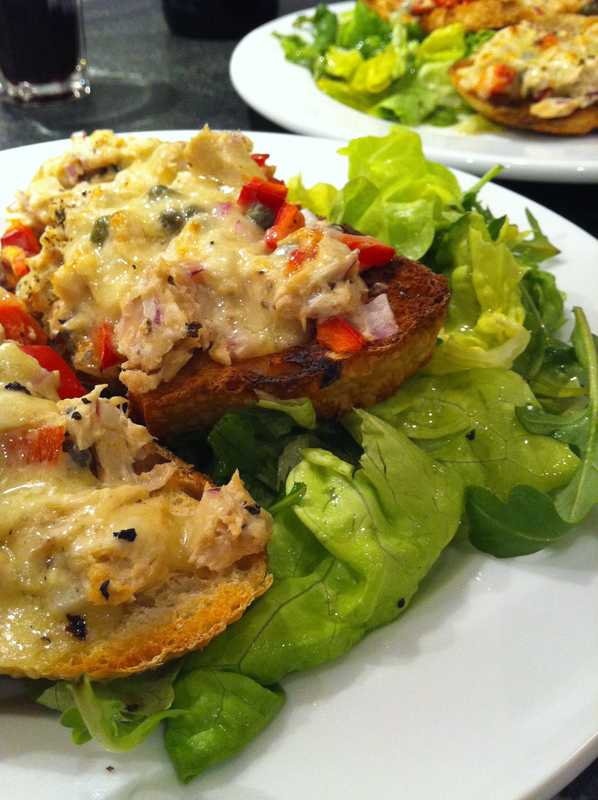 This entry was posted in Cooking, Food, Lunch, Recipe, Salad, Sandwiches and tagged capers, cheddar, lemon, parsley, peppers, red onion, sea salt, spelt bread, tuna by mostlynoodles. Bookmark the permalink. yum!! Your simple meals look so gourmet! Love it. Remember – these are the simple meals I take pictures of! Trust me, there are many that don’t make the grade! I can’t believe this is your simple cooking. Can you please come live with me? And more importantly… Cook for me? I have to go raid the fridge now, this post has made me hungry. 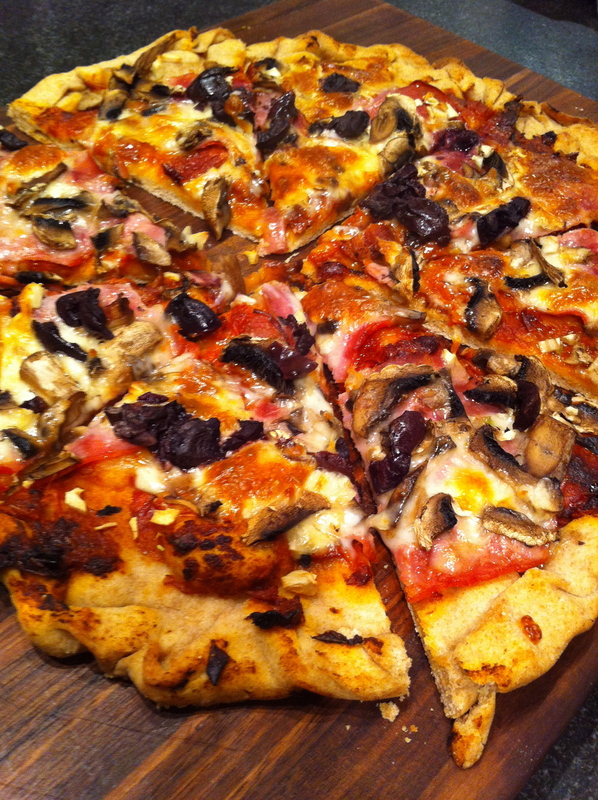 I would kill for a piece of that pizza RIGHT NOW, at work, at my desk!! Actually, I’d probably do some serious damage for all of these. Oh yeah, and I have the sweet and sour meatball recipe. I like the idea of the cilantro! That makes me think it would be good with a bit more spice and less sweet than the original recipe.